On October 3rd, 2012 MarketingProfs will host their annual B2B Marketing Forum in Boston, MA. Attendees and speakers from all over the U.S. will be putting their best (B2B) marketing foot forward. TopRank Online Marketing CEO Lee Odden (@leeodden) is kicking off day 2 with a Track Keynote titled “Integrating Content, Search & Social to Optimize the Funnel” which will combine tactical advice with first hand experience from an industry veteran. If you’ve never been to Beantown then you are in for a real treat! The B2B Marketing Forum is a mix of consultants and big brands, it’s sure to have a little something for everyone in attendance. In this environment, guiding customers through the sales cycle requires an integrated approach to content, optimization, and social media marketing. Join us for this lead generation and nurturing track keynote as SEO and social content expert Lee Odden discusses how to optimize the sales funnel to attract, engage, and inspire customers to buy. 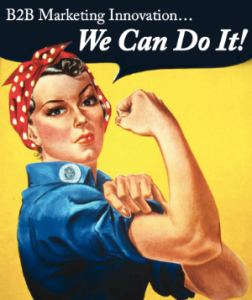 Bonus: ebook – B2B Marketing Innovation…We Can Do It! In order to make this years B2B Marketing Forum extra special, TopRank has partnered with MarketingProfs to create an ebook filled with innovative B2B marketing tips from the experts who will be speaking at the conference. Learn More about B2B Marketing Innovation and a chance to share your own marketing tip. MarketingProfs B2B Forum: You’re Comin’, Right? If you have a moment check out this gut busting video from the team at MarketingProfs. They’re getting into character and letting you know why you can’t miss the B2B Marketing Forum. So…you’re comin’, right? We look forward to seeing you at the upcoming B2B Marketing Forum. Be sure to follow the conference buzz on Twitter under the hashtag:#mpb2b. If you’re interested in learning more about the specific sessions be sure to visit theAgenda page on the MarketingProfs website. 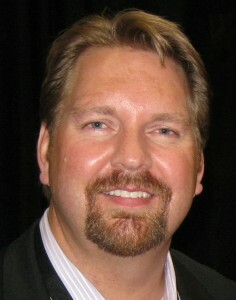 TopRank CEO Lee Odden (@LeeOdden) will be interacting and and tweeting at the event in addition to providing a keynote. Also, be sure to check out @TopRank for those of you who do not already follow us. 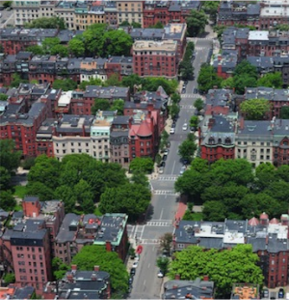 Downtown Boston image provided by Shutterstock.